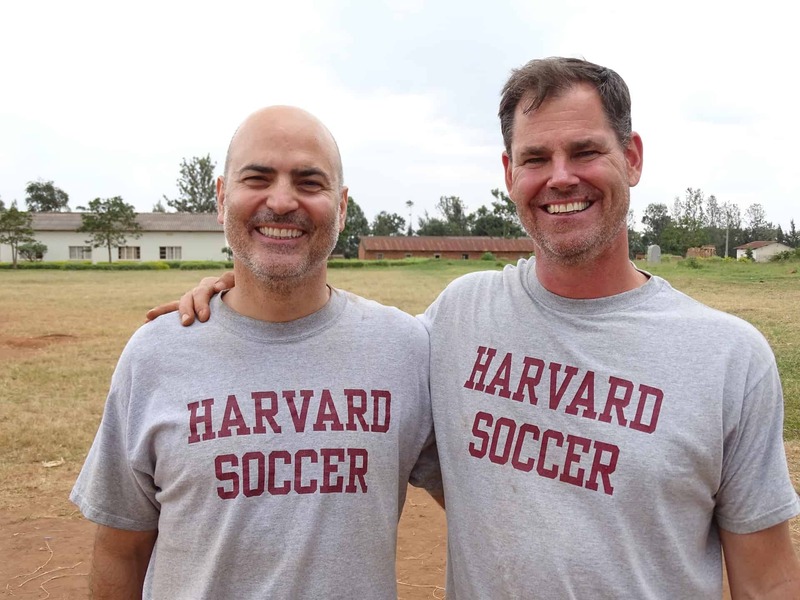 Coaches Across Continents creates meaningful change in the lives of millions of people in hundreds of communities on six continents - all at a fraction of the budget of other organizations of similar size and scope. We rely primarily on the generous donations of individuals who step up to be a part of our Donor Legacy Program. Our unique approach gives each donor the choice to impact the issues, communities, and initiatives that mean the most to them. Coaches Across Continents is a registered 501(c)(3) so all donations are tax-deductible! Click to Join One of Our Boards! Click to learn more about volunteering as a Global Citizen with CAC. CAC received the Global Impact of the Year 2018 from Beyond Sport. European Sustainability Strategist Stephenson was named a NextGen Leader 2018 by the Sport Industry Group. CAC was shortlisted for the Global Impact of the Year Award at the Beyond Sport Awards. For our ASK for Choice film CAC's videographer Kevin O'Donovan was shortlisted at the Charity Film Awards. CAC was accepted membership into the Clinton Global Initiative for 2015. CAC was shortlisted in the categories of "Champion of the Women's Game" and "International Impact Award." The Millfield School (UK) recognized CAC founder Nick Gates as their Society Man of the Year . CAC was a finalist for the “"NGO for Peace of The Year" award for our work with Child Soldiers in Uganda. CAC's partnership with Chevrolet was named 'Corporate of the Year' by Beyond Sport. CAC was named the Best Sport & Social Impact Organization 2017 by Global Health and Pharma. We were awarded a grant by Games 4 Good Foundation for our partnership with training4changeS in South Africa. 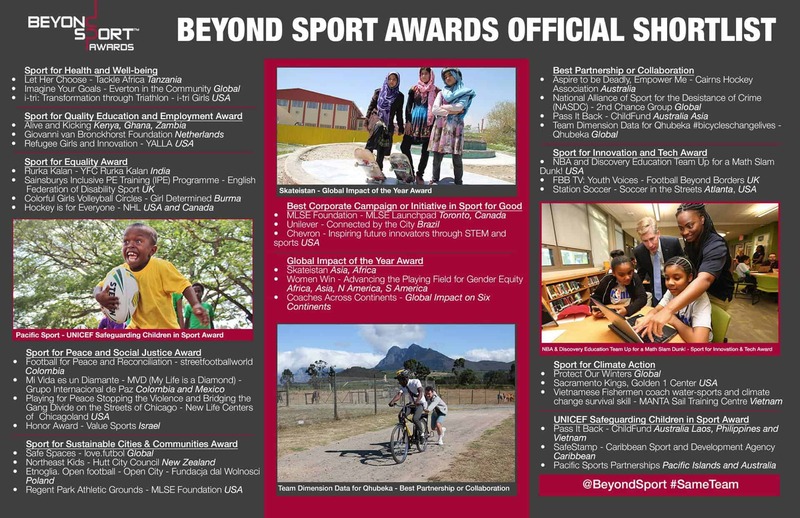 CAC was shortlisted for the 2015 Beyond Sport Awards in the UNICEF Safeguarding Children in Sport category. Kicking + Screening Film Festivan announced that it had selected CAC as its Social Initiative for 2012. Connor Sport Court developed Tanzania’s first all weather, multi-purpose court in Kigoma. CAC was selected as a finalist at the Global Sports Forum in the Sport and Education category. CAC was a finalist at the SCORE4Africa Awards in London in 2009. CAC won the LUX Life Magazine Best Global Social Impact Sports Organization 2018. 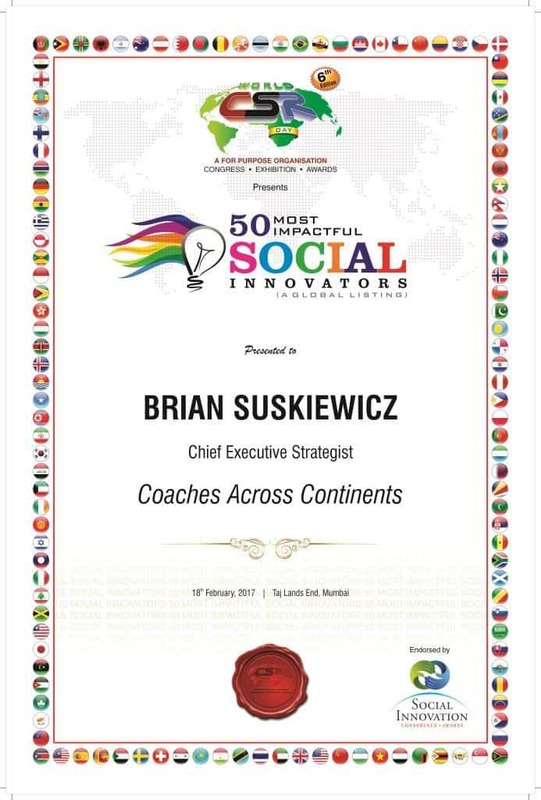 Brian Suskiewicz was named one of the 50 Most Impactful Social Innovators at the CHRO Asia Awards. 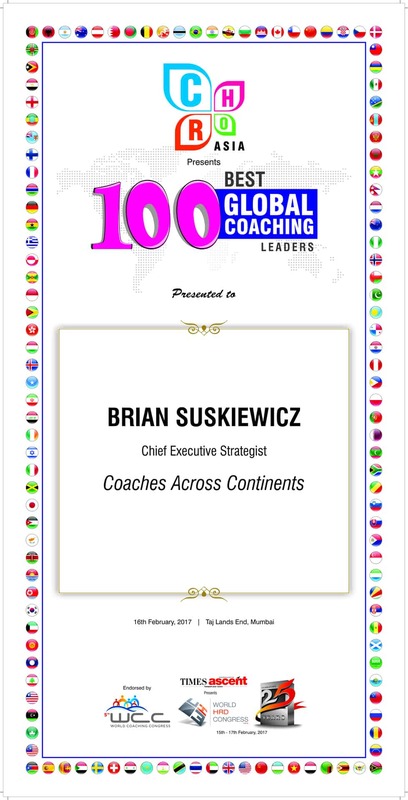 Chief Executive Suskiewicz was named one of the 100 Best Global Coaching Leaders at the CHRO Asia Awards. We were awarded a grant by Games 4 Good Foundation for our partnership with Breaking Ground in Cameroon. CAC was shortlisted in the category of "Charity of the Year: with an income of less than £1 million." CAC won the prestigious Google Ad Grants Award from Sports and Social Change in 2014. CAC is working with the One World Play Project to get their balls to all our global program sites. CAC won the Best New Project award at this global event in 2009. Coaches Across Continents has a dedicated and diverse group of individuals who make up our staff, teams, and board of directors. They include ex-English Premier League executives, US Soccer Hall of Fame members, World Cup Champions, professional coaches, Harvard graduates, world travelers, and business professionals. As a group they are able to complement each others strengths and deliver an organization which continues to be a global leader in sport for social impact. To ensure that our 501 (c) 3 organization and UK-registered charity run as efficiently as possible, we have created four unique boards and teams to help guide our operations. 1. The Board of Directors oversees the whole organization and ensures that we run an efficient business. 2. The Education Advisory Team works on our curriculum, on-line mentoring, and On-Field education. They also are committed to volunteer and staff recruitment. 3. The Business Advisory Team examines how we best develop our not-for-profit business model and connects with grants, foundations, and corporations for partnerships. 4. The ASK For Choice Advisory Team works to bring gender policies to life around the world, as well as the sustainability of this initiative. Click to learn more about our various Board Opportunities.